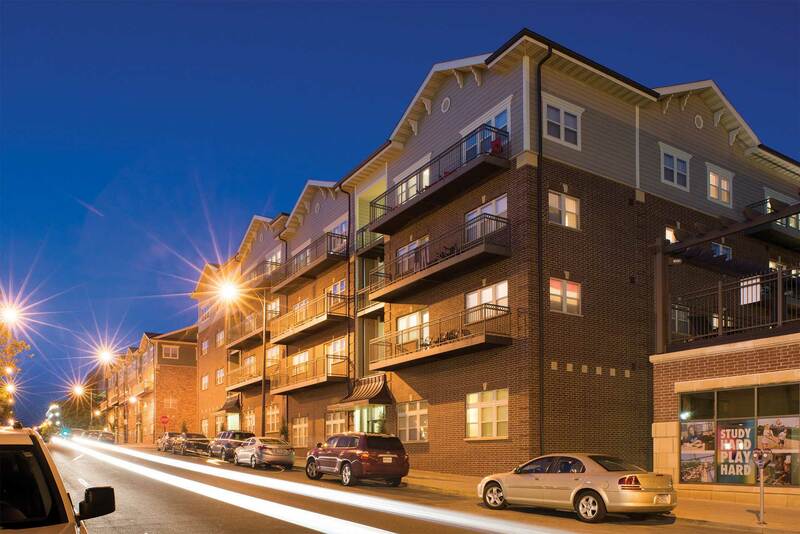 This four story wood-framed apartment building contains 36 units and features exterior breezeways. it was completed in 2011. Exterior finish materials are masonry and fiber-cement lap siding.